lemon drizzle | what? bread? I have made this before, but haven’t blogged it, so I am typing away while it is in the oven. I’m following the recipe in Short and Sweet, but you can also find it here. The differences are minor – Short and Sweet uses slightly less sugar, more flour and an extra egg in the cake mix. Which suggests it’s all good and you can tweak if you haven’t got quite what the recipe suggests. 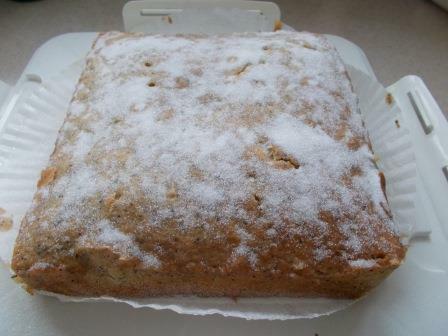 The main differences compared to a standard lemon drizzle cake, for example by Mary Berry, is the use of some sunflower oil in the mixture, the substitution of some of the flour with fine oatmeal plus some extra liquid, and the addition of poppy seeds. So the results are slightly chewier – a good thing, cake you don’t have to chew is not a good thing in my book. And I like the poppy seeds. 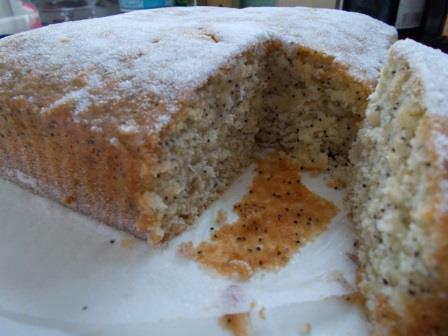 Cranks also has a great recipe for lemon, lime and poppy seed drizzle cake which I must do sometime. I do wish Dan was back with the Guardian, I have to say I haven’t cooked anything by Ruby, sorry.